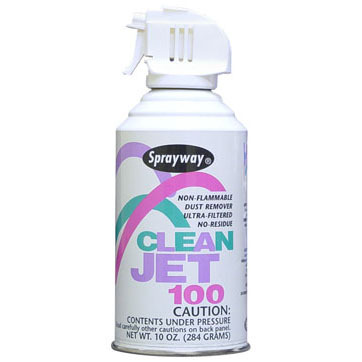 Sprayway 955 Multi-Purpose Anti-Static Spray counteracts static electricity charges that can attract dust, cause static cling, and static shock. 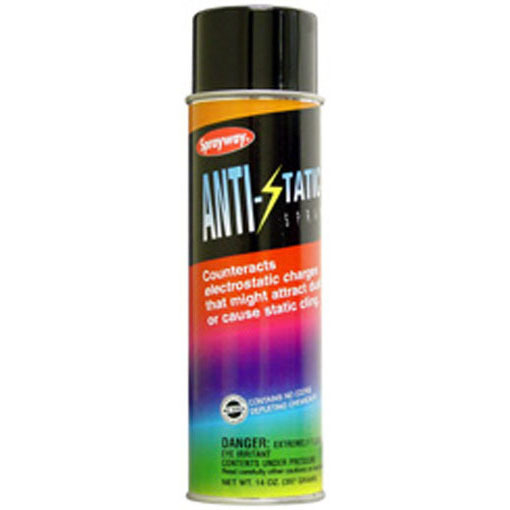 This multi-purpose anti-static spray removes the electrostatic charges that attract dust particles and cause static electricity. It effectively eliminates static shock, static cling, and static electricity in and around computer , terminal, electronic areas, and embroidery machines, helping prevent data loss and damage to a computer's memory. Also safe to use on a wide variety of inanimate objects, wool, nylon, and other synthetic rugs and carpets, furniture, drapes, and chairs. 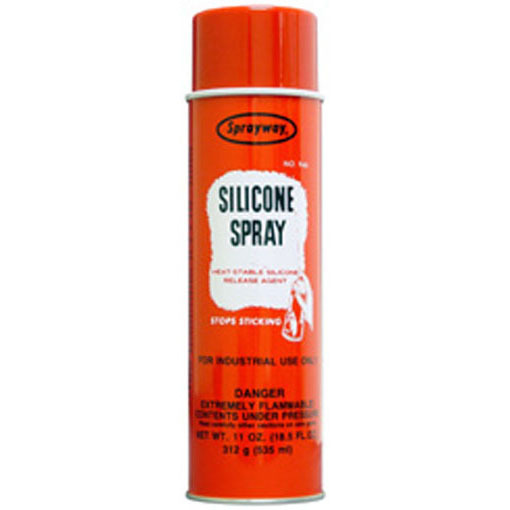 May be used on machinery or places where static may generate. Can also be used on metal rollers, drive belts, feedboards and feed arms which come in contact with material being printed, folded or converted; scanners, or electronic image processors.